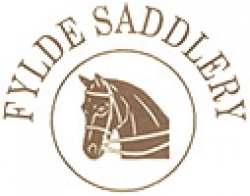 Fylde Saddlery was started over 40 years ago by Jean and Peter Wilkinson. Peter is co owner with his daughter Susan. The business has always been run from Hillcrest which is also the family home. The company has always specialized in tack and attire for the showing world. Fylde is now known worldwide as a supplier of the highest quality saddles, bits and bridles. Most of the bridlework is actually designed by the Wilkinson family.